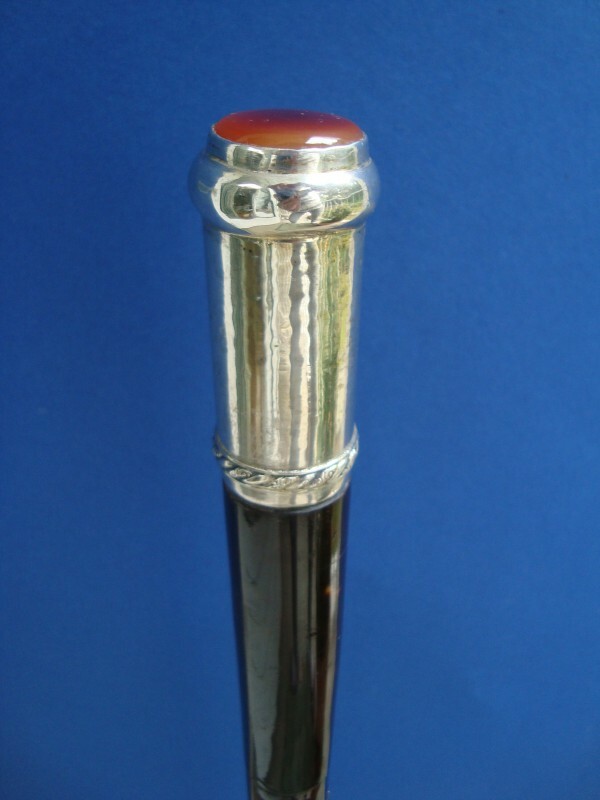 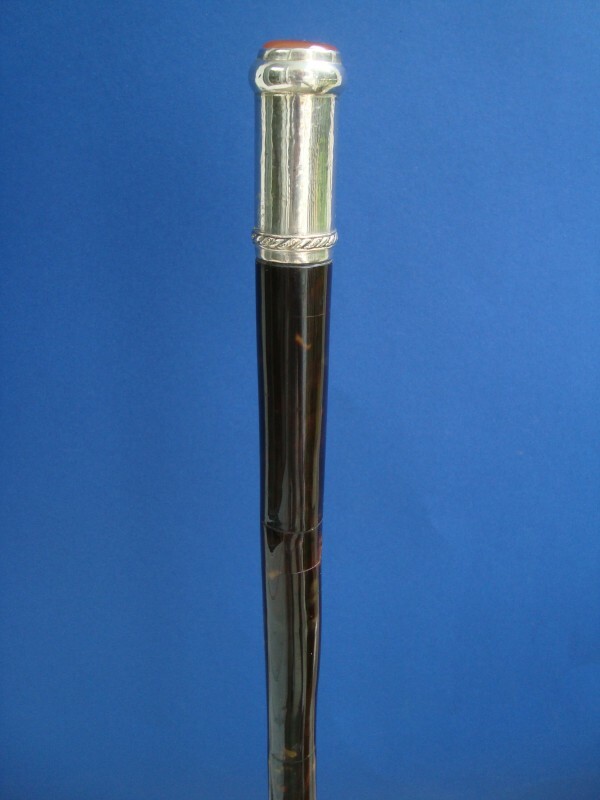 Walking cane with a long silver knob with embossed rims at the ends of the knob and a cornelian on the top, second half of 19th century. 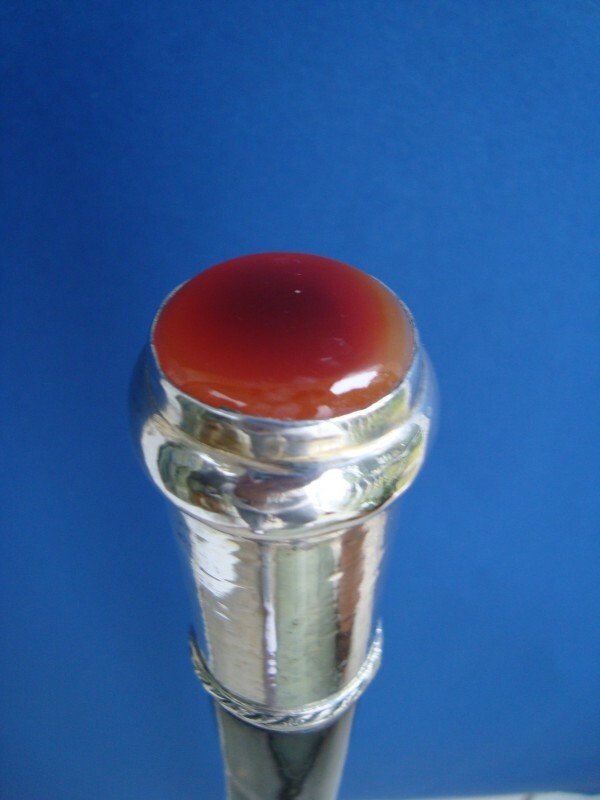 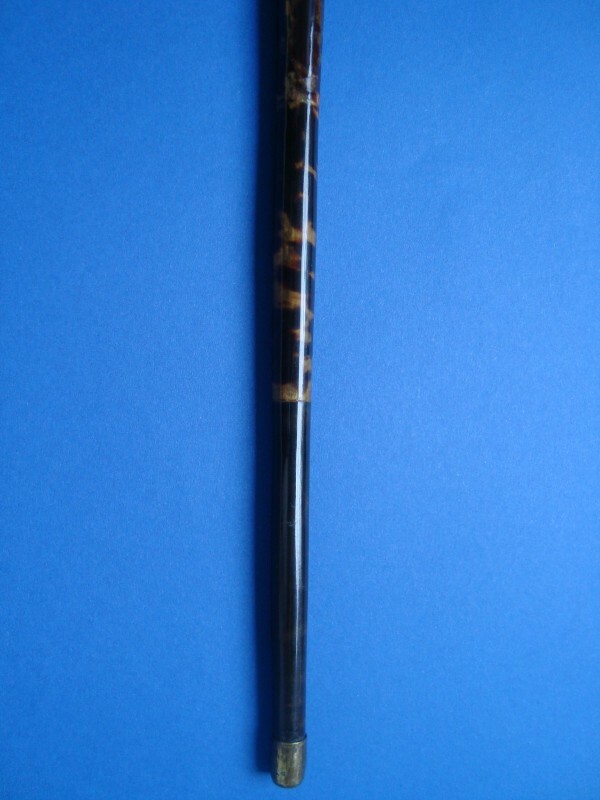 The knob is fitted on a wood shaft covered with tortoiseshell and a brass ferrule. 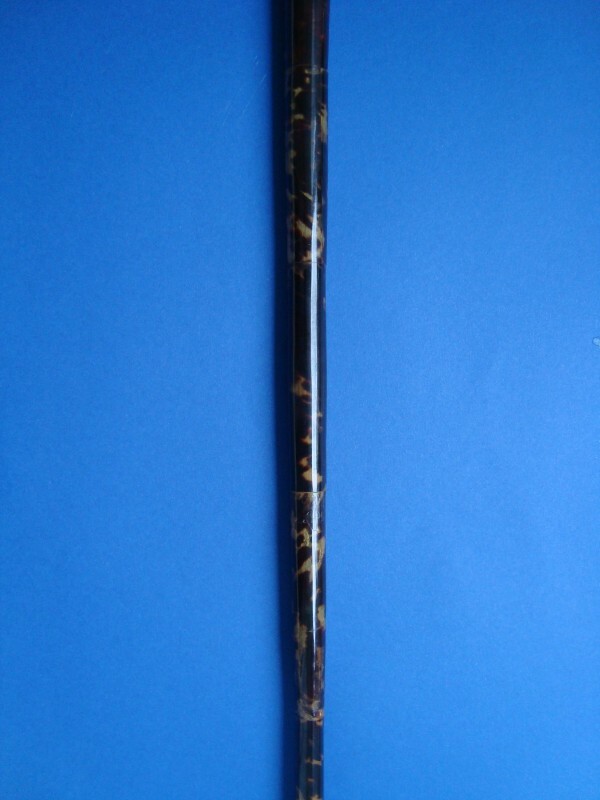 Length of the knob 7 cm, 2,7” overall length 93 cm, 36,6”.